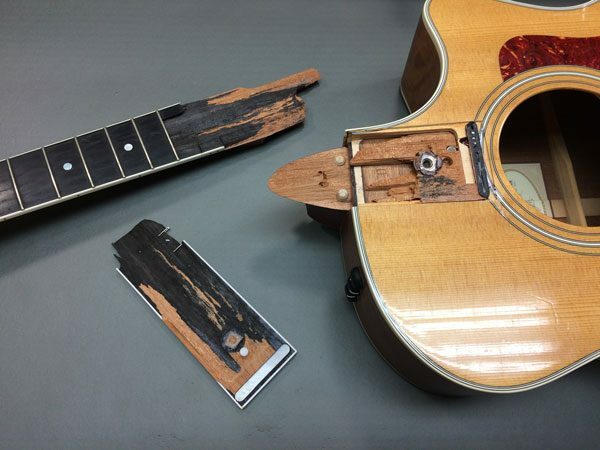 As an authorized Taylor Guitars repair center we often get calls from Taylor owners about damaged guitars and other warranty issues, and we’re almost always able to help. 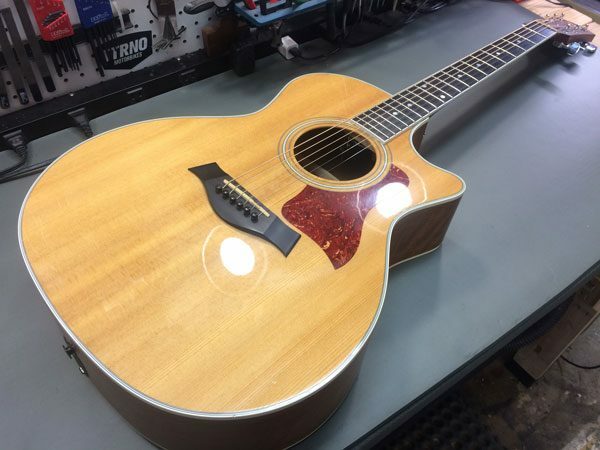 Even if the repair isn’t covered by the manufacturer’s warranty we’re still able to purchase replacement parts for most current Taylor models. 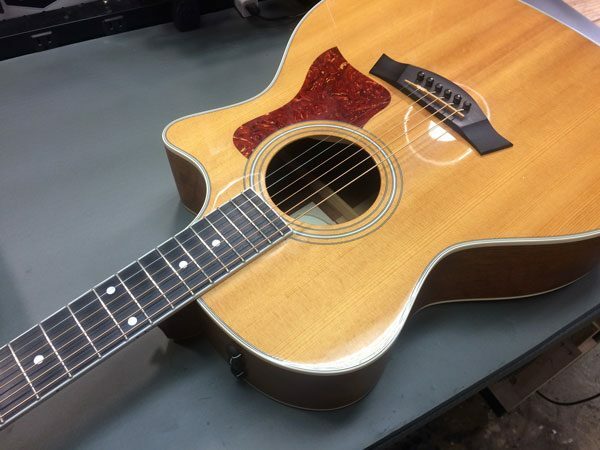 That option may be the best course of action if the cost of the repair outweighs the price of new parts, or if the owner of the guitar is simply more interested in replacement rather than repairing a broken Taylor neck. 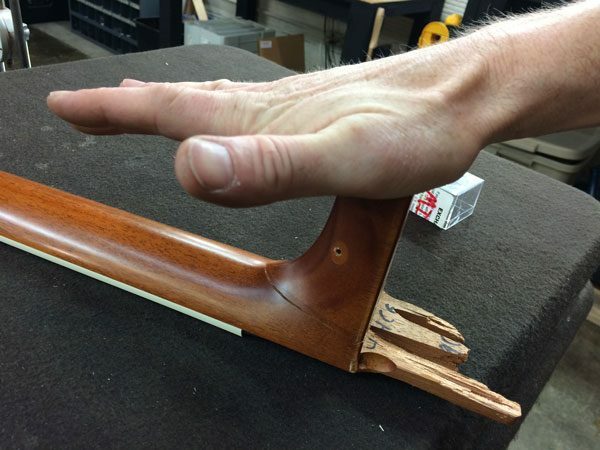 The damage to this instrument might look terrifying, but it’s actually not that bad – we’ve seen much worse! 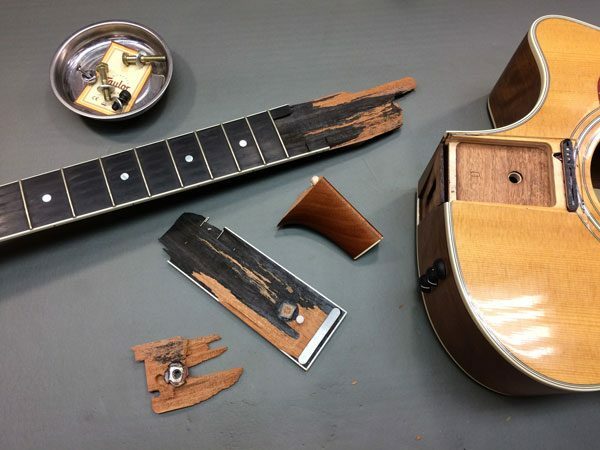 Unfortunately, this type of damage isn’t covered under the manufacturer’s warranty, so our client decided to have us repair the original neck along with some other minor damage from the spill. 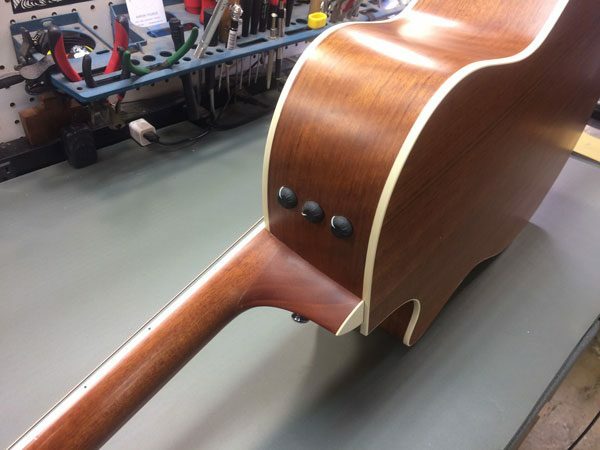 Fortunately, Taylor Guitars are equipped with a brilliant bolt-on neck construction system making them relatively easy to get apart and back together. 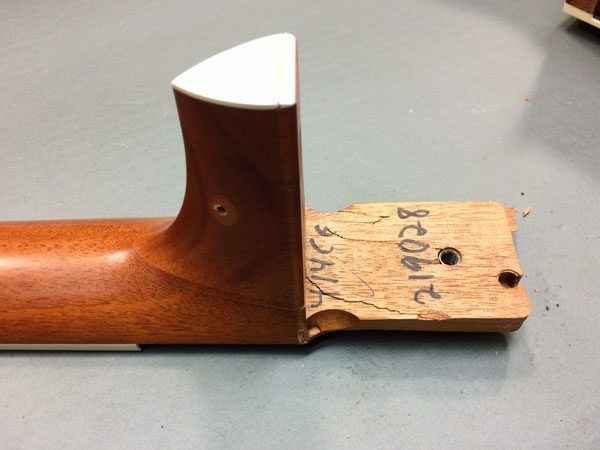 Portions of the neck heel and fretboard tongue were still attached to those bolts and threaded inserts, so I removed them to make the repair cleaner and easier. The breaks were all pretty clean with minimal splintering which allowed the jagged bits to lock back together like puzzle pieces, for the most part. 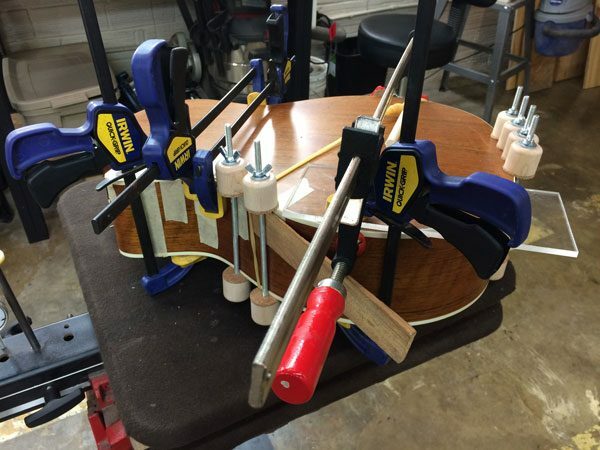 I decided to add some 1/8″ wood dowels in addition to the factory dowels to further reinforce the neck heel and keep the glue joint from sliding under clamping pressure. 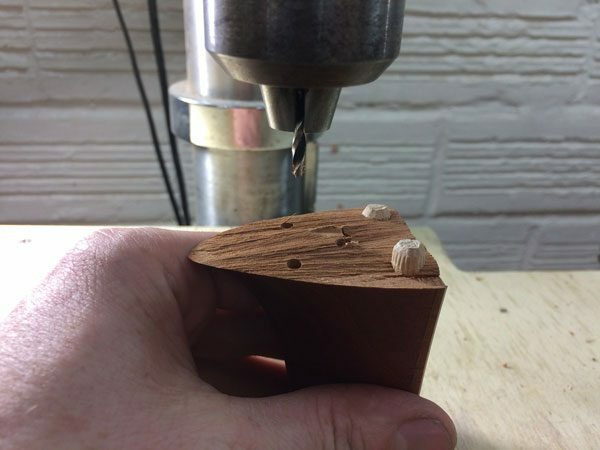 First, I drilled 1/8″ holes into one side and inserted some specialized indexing punches to mark the mating surface. Then, by pressing the two pieces together I imprinted marks to show me exactly where to drill the corresponding holes. 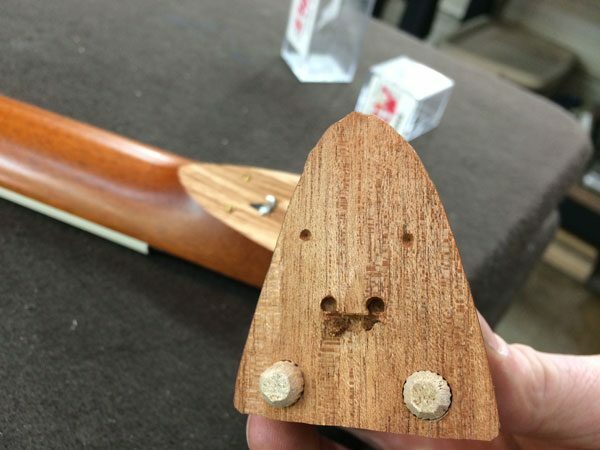 Once all four holes were drilled I trimmed some 1/8″ dowels and glued them into one side of the joint. 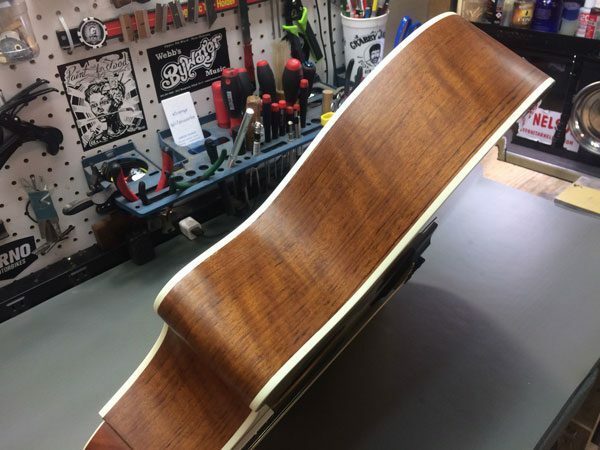 I always test fit before adding any glue into the equation. 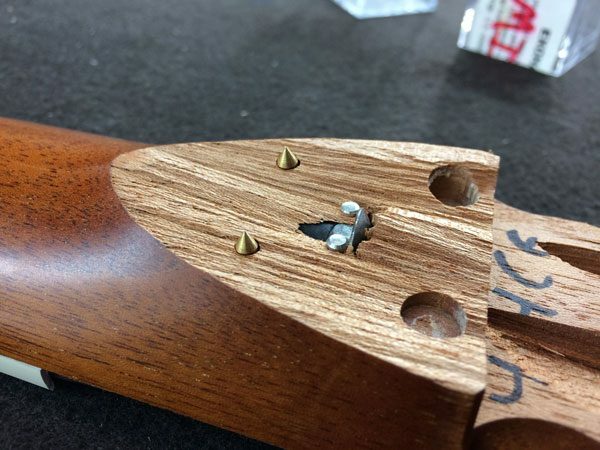 Because this was fractured in multiple places, dried glue squeeze-out from one joint can complicate the fit of another, so in situations like this I prefer to glue everything at once to get a perfectly tight fit all around. 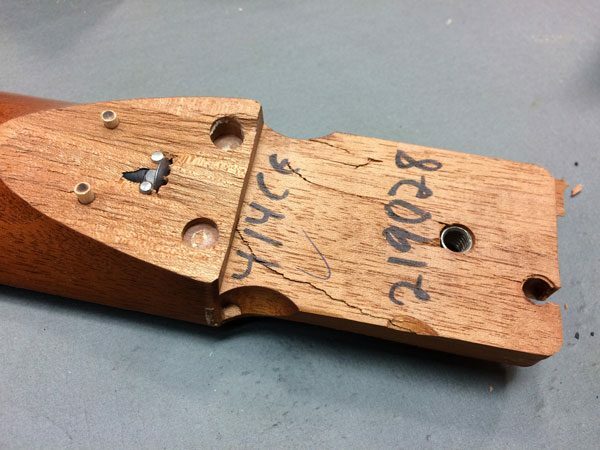 While waiting for the glue to dry on the neck repair I took care of some issues with the body. The top and back as well as some of the binding had broken loose in a few places, and this was another situation where multiple locations needed to be glued at once to ensure proper alignment. 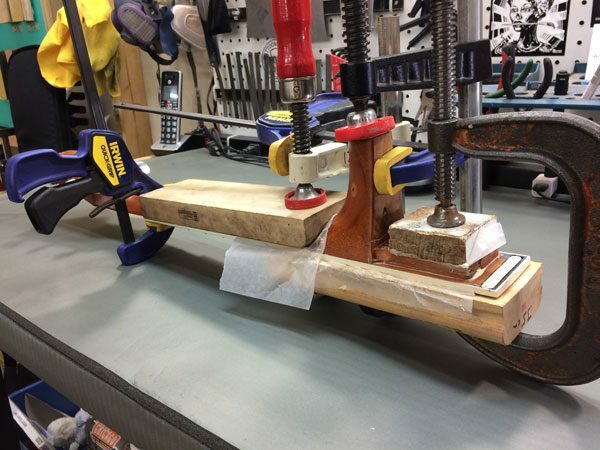 No such thing as too many clamps! You can’t even tell this thing was ever broken! 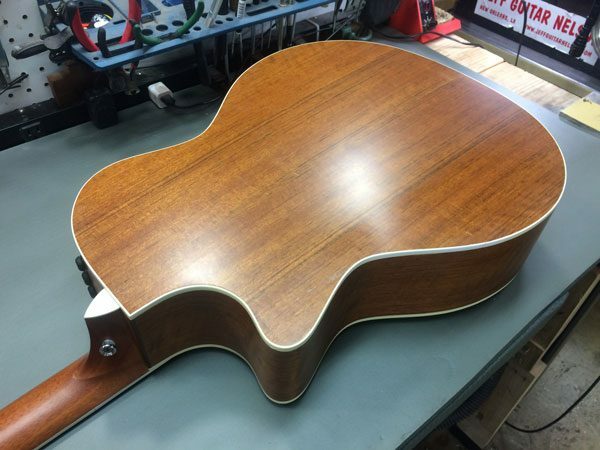 We’re very pleased by how this one came out.